A driver who hit two police officers while sending texts behind the wheel has been savaged in court, with his victims saying his “selfish actions” left them in constant pain. 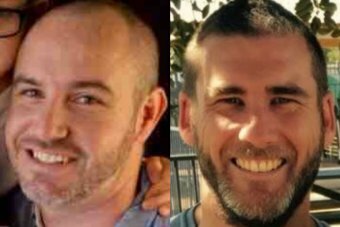 Senior Constables Jonathan Wright and Matthew Foley were setting up the RBT site at Leumeah, in Sydney’s west last year when Jakob Thornton, 23, ploughed into them in his van. Thornton was not speeding nor under the influence of drugs or alcohol, but admitted to police he had been sending and receiving text messages before the crash and had his eyes off the road for about 20 seconds. The injuries to Senior Constable Wright’s right leg were so serious he had to have his right foot and the lower part of the leg amputated. Senior Constable Foley had to have a titanium rod inserted in his right leg between his knee and ankle and several pins and screws inserted around the ankle. In August 2018 Thornton pleaded guilty to two charges of dangerous driving occasioning grievous bodily harm, and today, sentencing proceedings began in the NSW District Court in Campbelltown. Both police officers came to court supported by a large group of loved ones and police. They submitted victim impact statements detailing the ongoing physical and emotional pain they have as a result of the incident. Senior Constable Foley, a father-of-two, said it was “sheer luck” he was still alive. “[It’s been] almost one whole year being unable to kick balls around with my kids, do what any normal father would do with their kids,” he said. He added that he battles bouts of depression, has been diagnosed with PTSD, and still has dreams about that night. “Whatever comes out of this, I hope you get what you deserve,” he said. Senior Constable Wright, a father-of-three, said the crash had been a “very traumatic experience”. He said prior to having his foot amputated he lived a very active lifestyle. “I suffer from constant chronic phantom and actual limb pain, I am never pain free,” he said. “My mind is often focused on my chronic pain level and I become grumpy, distracted and easily irritated. He added that because he now relies heavily on his wife for help she too has been affected. Thorton, who was supported in court by his family, submitted a letter to the court apologising for his actions. “Causing that much damage for a stupid mistake has weighed heavily on myself and I am sure that it will follow me for the rest of my life,” Thorton said. The maximum penalty for each offence is seven years jail but because Thornton pleaded guilty he will be entitled to a discounted term. Judge John Hatzistergos will sentence the 23-year-old when the case returns to court later this month.